Running shoes and running gear for men and women. 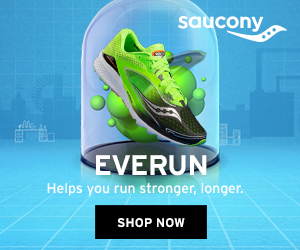 Follow Saucony to get news updates and products on your homepage. Saucony is being followed by 0 people. UK Delivery Details: £5 for standard delivery, £11 for express delivery. Returns Information: Free returns - see the website for full details. Saucony is currently ranked 658 in the directory. Last month its rank was 2368. 12 products added to Saucony 8 hours ago. 18 products added to Saucony 6 days ago. 8 products added to Saucony 9 days ago. 19 products added to Saucony 13 days ago. 15 products added to Saucony 16 days ago. 36 products added to Saucony 20 days ago. 24 products added to Saucony 23 days ago. 50 products added to Saucony 35 days ago. 2815 products added to Saucony 51 days ago. Updated The link Saucony was updated 62 days ago.